Hurricane Harvey was an unprecedented storm that, due to the long stretch of time it lingered over Texas and Louisiana, led to massive flooding and devastation in many communities. Unfortunately, Harvey negatively affected many Girl Scouts and their families. Many have asked how you can contribute to the recovery efforts for our sister Girl Scouts. 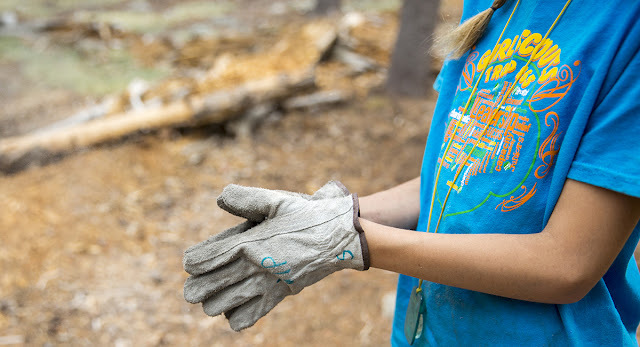 We have learned when girls have experienced natural disasters like these and are surrounded by recovery efforts, participating in Girl Scouts can be one way to help them, and their families, feel some sense of normalcy. That’s why GSUSA is lifting fundraising restrictions to enable girls to raise money for Girl Scouting recovery efforts at the four impacted councils: Girl Scouts of San Jacinto, Girl Scouts of Greater South Texas, Girl Scouts of Central Texas, and Girl Scouts of Louisiana–Pines to the Gulf. And sadly, while we are working to support our members and their families whom Harvey has negatively impacted, we are also in the process of surveying the damage wrought by Hurricane Irma, and keeping a watchful eye on Hurricane Jose behind it for possible impact on our members. It’s been an incredibly challenging time for many people in the affected areas, and Girl Scouts have displayed tremendous courage, confidence, and character during such a trying time. It’s been heartening to see so many in our Movement come together to help the affected communities in their time of need.